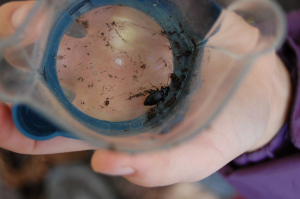 Observation - Black ground beetle - UK and Ireland. Description: 12mm, found in woodland next to river, in leaf litter. 12mm, found in woodland next to river, in leaf litter.